Recent scandals in Washington have believers in America asking how we should respond to a government that seems increasingly bent on operating outside the rule of law. Two passages in Scripture explicitly deal with the Christian’s civic responsibility (particularly the admonition to submit to governing authorities), including Romans 13 and in particular, 1 Peter 2. The test for the Bible student concerning this passage is in its application. The last time I checked, America didn’t have an emperor. How then are we to honor the emperor? What does it mean to be “subject to every human institution” of governance? First, what are the facts? Americans do not have an emperor and we are under no contractual, expected submission to this non-existent emperor. Rather, just as Peter explains that honoring the Roman emperor is carrying out the instruction in verse 17 to be subject “to every human institution,” Americans can and should still be subject to our governing authorities. If we are submissive to our governing authorities and/or governing institutions, we can still carry out the spirit of this exhortation of ‘honoring’ the emperor by obeying legally-constituted (and therefore God-ordained) authority and giving due respect to the executors of that power. The next question for the Christian in America to answer, “who is our emperor?” In other words, who (or what) is our ruling authority that we are commanded by God to submit ourselves unto? Hopefully, thoughts of our third grade civics class can refresh our memory. America is a Constitutional Republic. In this form of government, power is not held by a politician, governor, president or any other individual. The legally endowed (and therefore, divinely ordained) authority in America rests in the rule of law and not held in a flesh-and-blood ‘emperor.’ In short, the highest law of the land is the constitution of our state and federal governments. For example, consider that all government officers of the United States, including the President, the Justices of the Supreme Court, and all members of Congress, pledge first and foremost to uphold the Constitution. These oaths affirm that the rule of law is superior to the rule of any human leader. The presidential oath of office, for example, clarifies that the president is not the highest ruling earthly authority, but that the president only serves the highest earthly ruling authority (the Constitution). 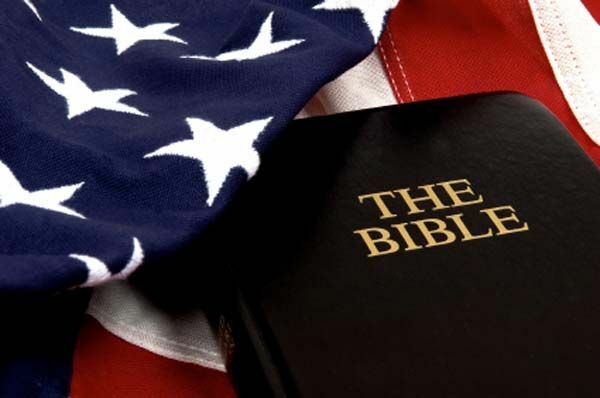 Finally, believers in America must understand that it would be a major disservice to our emperor (the rule of law and chiefly, the Constitution) to submit to any person usurping its divinely-given authority. Would Christians in any kingdom be disobedient to Peter’s instruction in 1 Peter 2:13-17 for not submitting to an usurper of the throne? Would Christians be disobedient for rebelling against a despot who took control of the rightful king through an illegal coup d’etat? What about failing to submit to a governor that the emperor never installed into office in the first place? If the answers to these questions is no, then the Christian living in a rule-by-law society is not disobedient to Peter’s instruction in 1 Peter 2:13-17 for failing to submit to an executor of the law who is acting outside the bounds of the rightfully ordained authority (IE, who is acting contrary to the authority given him in the Constitution). For the American believer, our allegiance must be to the Republic and to the rightful emperor of our land, the Constitution. Contemporary Christians – particularly in the Western world –should respect (honor) our elected leadership and submit to their legally constituted authority… and doing so is obeying 1 Peter 2:13-17. In this case, the executors (everyone from local law enforcement to the President) of the supreme Earthly authority (the Constitution) serve as governors (whether elected or appointed) of the emperor. However, just as a governor has no authority to act outside the jurisdiction given him by the emperor, the Christian is not subject to the authority of an elected or appointed individual acting outside the bounds of his legal jurisdiction. Satan would try to convince us that he is the rightful ruler of this world – but he is not. He is a usurper. If any executor of the law governs by breaking the law, our obligation then is to the law and not the usurper. Christians in America have some tough ethical dilemmas facing us in the near future. Let us make sure that we read the Holy Scriptures to properly understand their intended meaning and how to apply it to our lives.